Life is much colorful today with a big screen at Home. Enjoy the Unlimited freedom of life. Well, there is only ONE problem. Finding a “BIG” TV Screen isn’t an easy job. Not everyone is rich enough to move a more than 100″ LED Screen to house with about 100K USD cost. 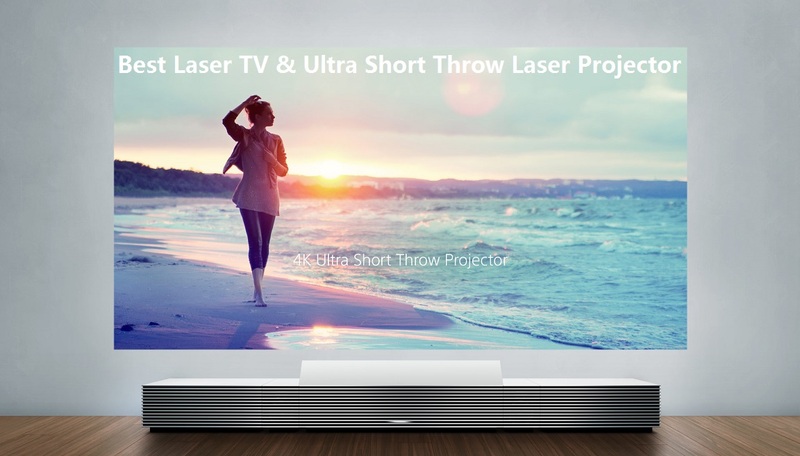 Ultra Short Throw Laser Projector which called Laser TV is the best and right choice. What is the Advantage of Laser TV? Laser TV is the future of big screen TV. There are many players in this area, including tranditional TV brands, such as Sony and Hisense; new players as JmGO, XGIMI, Xiaomi, Dell; stronger projecter brands, such as BenQ and Optoma. Which one is the best and just right for your requirement? That is why we have created a list of Best Laser TV of 2018 and 2019. After researching online and spending many days compare these Ultra Short Throw Laser Projectors , I have shortlisted the top products which you can buy right now. In April 29, 2016, JmGO, a technology company from China, dropped a bomb in the world. JmGO conference in Beijing launched two high-profile new products: JmGO S1 laser TV and 1080P smart theater X1, design inspiration from the lotus and fish, product performance and appearance thrown several streets of similar products. S1 laser TV, known as a collection of top hardware configuration is the first laser light source micro cast, using the projection reflex principle, achieve 300 inches Full HD screen projection, high brightness, ultra-short focal projection, off-axis lens, new industrial design and high performance configuration and the brightness is up to 4000ANSI, real sense subversion the TV.